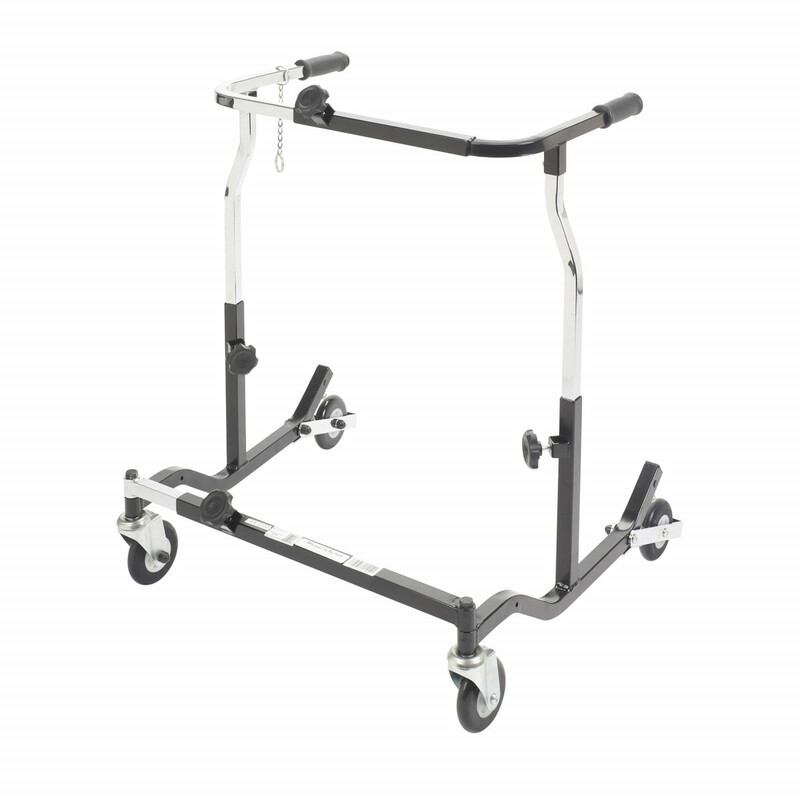 Wenzelite Rehab Adult Anterior Safety Roller is a heavy duty safety roller or Gait Trainer manufactured by Drive Medical. 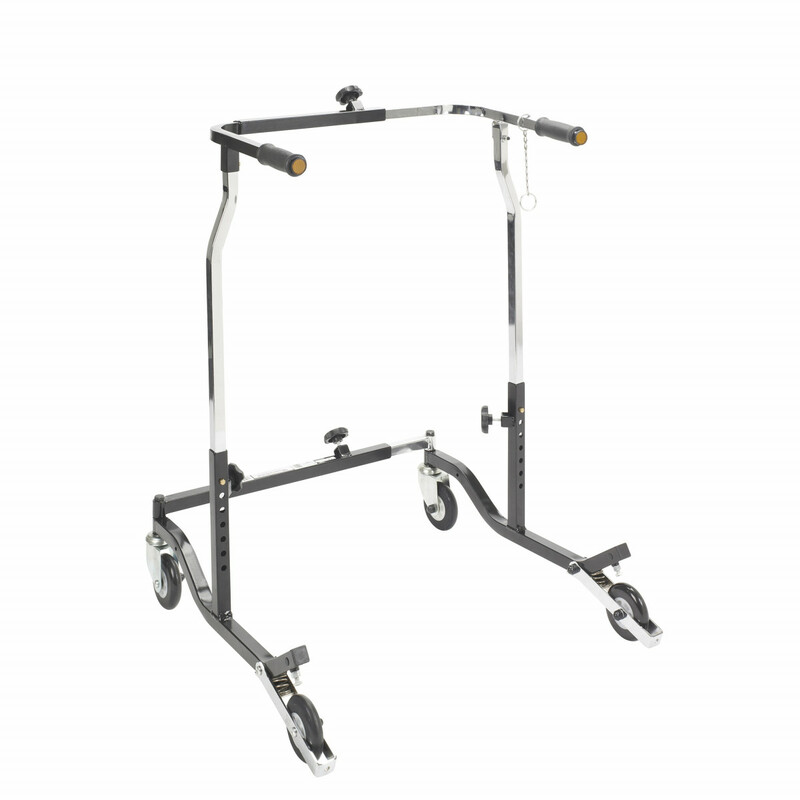 This Adult Anterior Safety Roller situates the patient in the center of the roller, providing maximum support and improved posture for the patient. 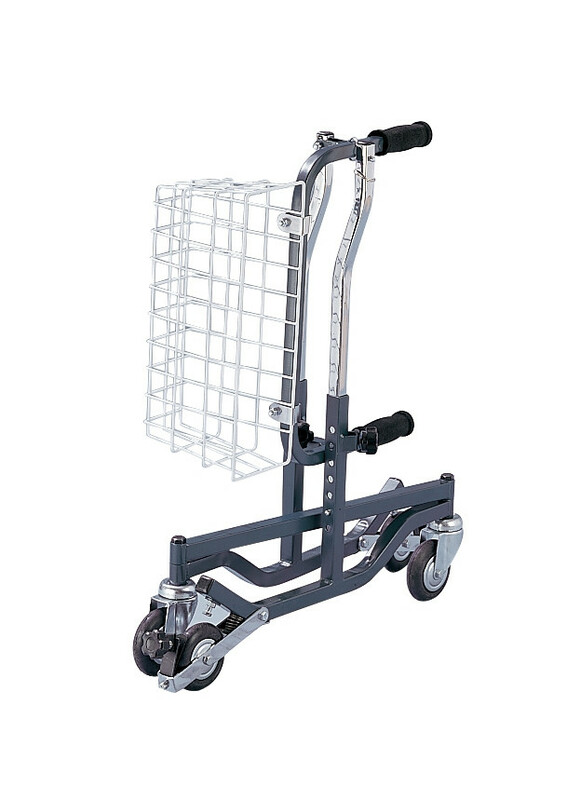 The Wenzelite Roller is based on a welded steel frame that rolls on skid resistant, non-marring, easy rolling neoprene wheels. The wheels are ideal for both indoor and outdoor use and when the brake is engaged, a brake stopper hits the wheel and wheels cannot roll. 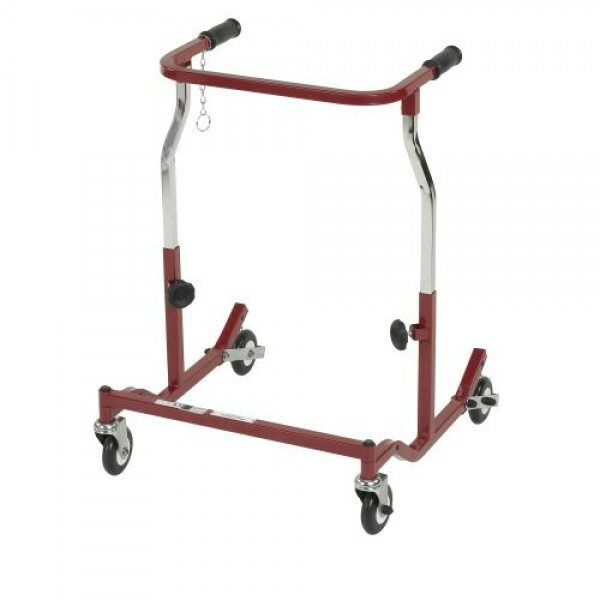 This creates a stable base for the patient to lean down upon. The brake itself is engaged by applying pressure to the handlebar which makes it ideal for patients with limited hand function and/or limited cognizance. 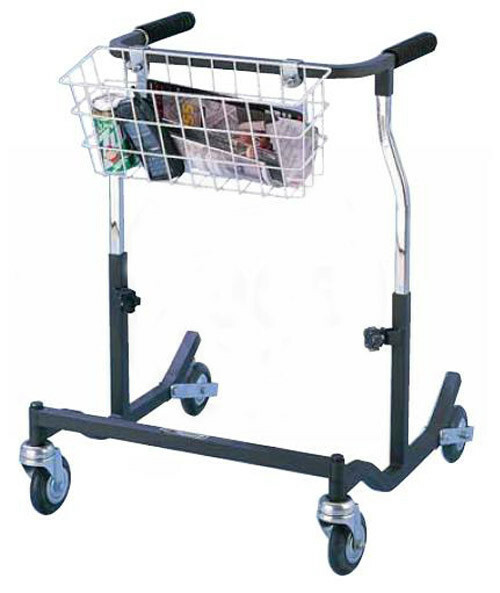 The Wenzelite Safety Roller halts in step with the patient and the braking mechanism automatically engages if the patient stumbles. To help make the brake more functional the brake spring tension can be adjusted. 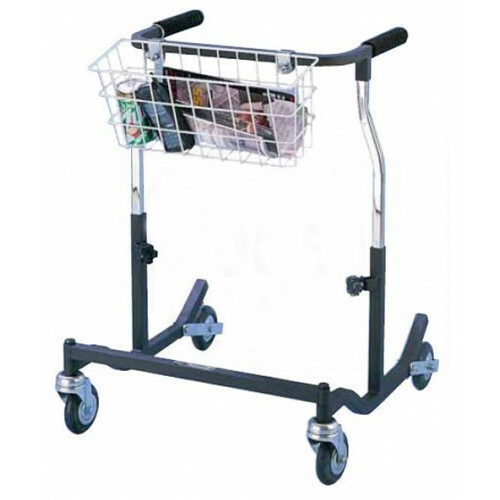 Wenzelite Rehab Safety Roller can also be easily folded and will stand on its own for easy storage or transport. The Wenzelite Roller is available in 4 different colors: Burgundy, Black, Red, or Blue. The Black and the Burgundy models are wider than the Red or Blue. Skid resistant, non-marring, easy rolling neoprene wheels. Wenzelite Adult Anterior Safety Roller Warranty: Limited Lifetime.